This is an adorable window treatment that is certain to transform any child's room to a cozy and warm environment. 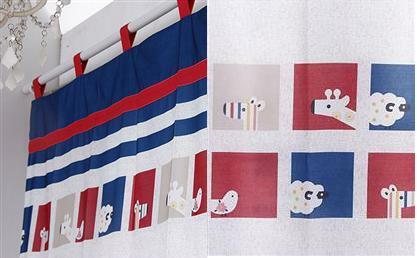 Any child will love the familiar zoo animals depicted on these window drapes. Made of flax and cotton material, these curtains are durable enough for a long time use and easy care. With its bright colors, it brings instant warmth and relaxation to your kid's room. The generous width of these window drapes give a rich, full look to your child's windows. This deluxe window treatment gives any room the "royal treatment" as it brings in the refreshing feel of "class".